My path of becoming a court interpreter is getting closer. I passed the English Exam on second attempt. It is the first step of the process. I have taken the orientation and part of the 5-day skill building workshops. 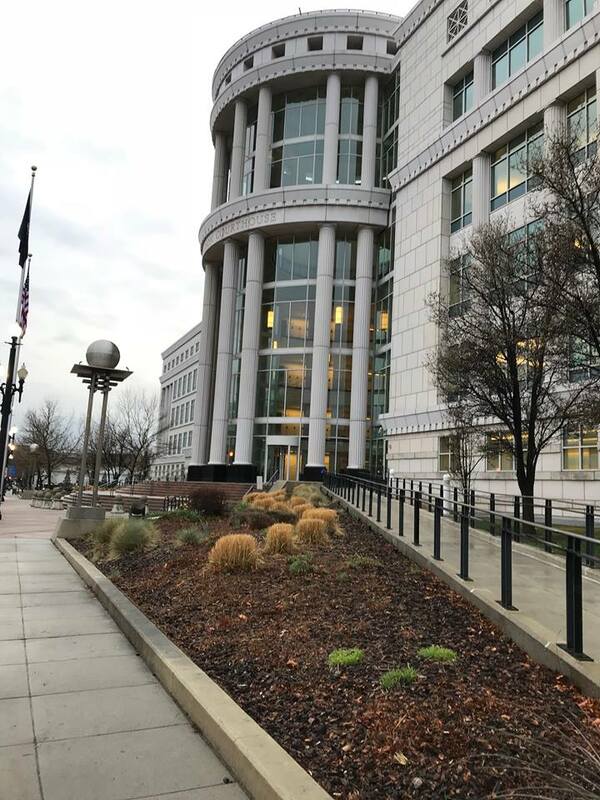 Now I need to get my 10 hours observation done, Pass the Code of Professional Responsibility for Court Interpreter Test and Oral Proficiency Interview ( My case is Lao) then I can be as an approved Court Interpreter for the State of Utah. For my language of expertise which is Lao. I can get it tested up to certified level which is highly regarded and its passing rate is very small for the first attempt but I hope I can take the Exam next year. If you are interested in becoming a court interpreter you need to check with your state court on how to become one. Each state has different requirements and either your language of expertise will be included in The Oral Exam or not. This is my new endeavor even though I have some experience on interpreting on the phone but it is only consecutive mode so I need to start learning how to do all three modes in order to be minimally proficiently to work in the court. I will write more about my 10 hour observation and Oral Proficiency Interview. I will show my plan of interpreting study and practice. ເສັ້ນທາງສູ່ການເປັນນັກແປຂອງສານຂອງຂ້ອຍໃກ້ຈະເຂົ້່າມາແລ້ວ. ຂ້ອຍຜ່ານການເສັງພາສາອັງກິດພາກຂຽນພາຍໃນຄັ້ງທີສອງໄດ້ ແລະ ມັນກໍ່ແມ່ນຂັ້ນຕອນທຳອິດ. ຂ້ອຍກໍ່ຍັງໃດ້ຮັບການອົບຮົມເບື້ອງຕົ້ນ ແລະ ການອົບຮົບວິທີການສຶກສາທີ່ຈະກຽມເສັງເອົາໃບອະນູມັດ. ສຳລັບພາສາຂອງຂ້ອຍແມ່ນພາສາລາວທີ່ສາມາດເສັງໃດ້ເຖີງຂັ້ນ Certified ເຊິ່ງແມ່ນຂັ້ນທີ່ສູງສຸດ ແລະ ລະດັບຜ່ານແມ່ນນ້ອຍຫຼາຍຂອງການເສັງຄັ້ງທຳອິດ ແຕ່ຂ້ອຍກໍ່ຫວັງວ່າຂ້ອຍຈະສາມາດເສັງໃນປີໜ້ານີ້. ຖ້າເຈົ້າສົນໃຈຢາກເປັນນັກແປພາສາທີ່ສານເຈົ້າຕ້ອງກວດເບິ່ງທີ່ສານປະຈຳລັດຂອງເຈົ້າ ເພາະວ່າແຕ່ລະລັດແມ່ນມີເງື່ອນໄຂແຕກຕ່າງກັນໄປ ແລະ ເບິ່ງວ່າພາສາຂອງເຈົ້າແມ່ນຈະໄດ້ສອບເສັງເຖີງລະດັບຂັ້ນ Certified ບໍ່. ນີ້ແມ່ນການພະຍາຍາມອັນໃໝ່ຂອງຂ້ອຍ ເຖີງແມ່ນວ່າຂ້ອຍຈະມີປະສົບການແປພາສາແບບຕາມຫຼັງ ຢູ່ທາງໂທລະສັບກໍ່ຕາມ ແຕ່ມັນກໍ່ເປັນພຽງໜື່ງໃນການແປອັນດຽວ ແລະ ຂ້ອຍຕ້ອງຮຽນເຮັດໃຫ້ໃດ້ທັງສາມແບບເພື່ອຈະມີຄວາມສາມາດເຮັດຢ່າງນ້ອຍສຸດຢູທີ່ສານໄດ້. ຂ້ອຍຈະມາເວົ້າຕຶ່ມອີກໃນບົດຄວາມຕໍ່ໄປກ່ຽວກັບການໄປເບີ່ງການແປໂຕຈິງ ແລະ ການສຳພາດການກວດສອບການເວົ້າພາສາລາວໃຫ້ຟັງໃໝ່. ແລະຂ້ອຍຈະມາແບ່ງປັນການຈັດການໃນການຮຽນ ແລະ ຝຶກຫັດໃນການແປຂອງຂ້ອຍ. Thank you for sharing your experience. It's really helpful. I wish you the best of luck for your next exam and can't wait to read more.